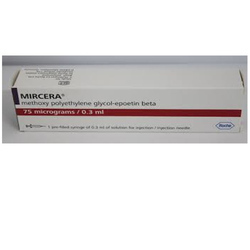 We sell Mircera from Roche at best prices and we also have Methoxy Polyetylene at very good discounted prices in Caddiline Exports Pvt.Ltd at Nagpur or other Indian Regions as well as outside India to any other Countries of the world. We sell Bondronat from Roche at best prices and we also have Ibandronic Acid at very good discounted prices in Caddiline Exports Pvt.Ltd at Nagpur or other Indian Regions as well as outside India to any other Countries of the world. 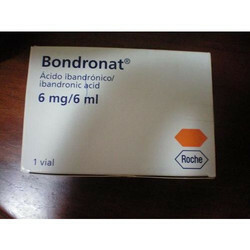 Bondronat is essentially used for treatment of problems relating to bones. It is used to treat osteoporosis in women post menopause for slowing down the weakening of the bones. It also helps in preventing further damage to bones in patients suffering from breast cancer, in case when the cancer has spread to the bones. It also reduces the probability of hip fractures and other fractures. The Bondronat drug also helps in reducing excess calcium in patients suffering from Hypercalcemia, which is the condition of excess levels of calcium in the blood. It can be taken orally or can be administered as an injection. 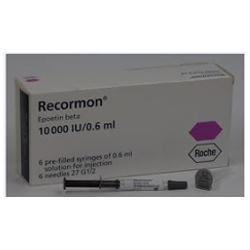 We sell Eprex from Roche at best prices and we also have Epoetin Alfa at very good discounted prices in Caddiline Exports Pvt.Ltd at Nagpur or other Indian Regions as well as outside India to any other Countries of the world. 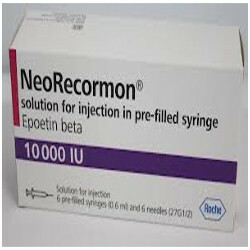 We sell Neo-Recormon from Roche at best prices and we also have Epotien Beta at very good discounted prices in Caddiline Exports Pvt.Ltd at Nagpur or other Indian Regions as well as outside India to any other Countries of the world. Looking for Oncology Drugs ?